Here is a great, quick demonstration video of a cajon being played showing a variety of techniques. 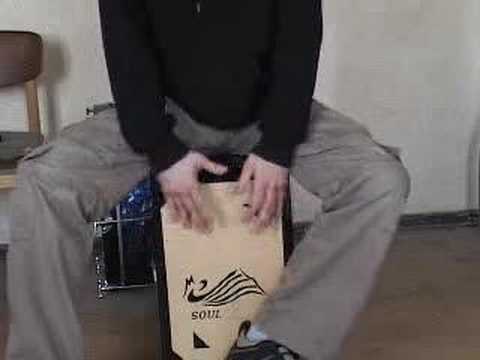 A cajon can emulate an entire row of tom-toms by the player when he simply slides his foot across the large surface as you see in this video. This changes the tone of the lower drum section of the cajon.